Update: Since I first wrote this post, many other great books have been released such as Surviving Doomsday, The Art of Eating Through The Zombie Apocalypse, and these urban survival books. So although I no longer consider the list below to be my top 10 books on survival, I still think they’re all very good. I haven’t read every book on survival (there are too many to keep up! ), but I’ve read a lot. 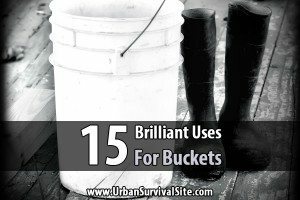 I went through my book shelf and tried to decide what I think are the best well-rounded survival books. 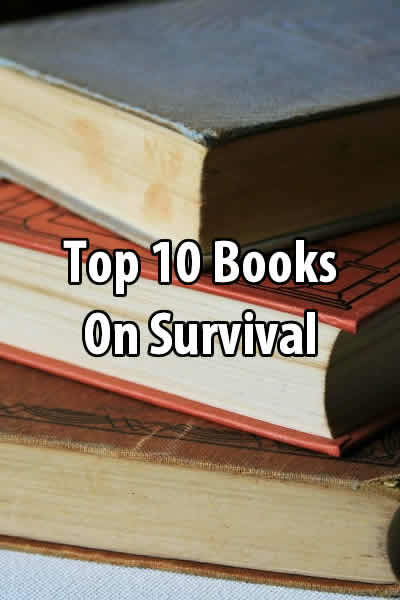 After about an hour, I narrowed it down to the 10 best books on survival. This is sort of a “Man-vs-Wild” survival book. The author teaches you how to survive in any environment whether it’s desert, tundra or the jungle. Topics include building shelters, making fire, finding water, hunting and trapping, avoiding and fending off dangerous animals, finding your way in the wilderness, and more. The best thing about this book is it has over 500 illustrations to go along with the step-by-step instructions. This book is definitely a must if you’re going to spend time in the wilderness. 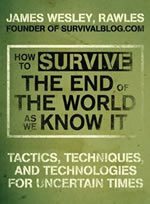 This is a great, easy-to-read book for people new to survivalism. It’s geared toward average families and teaches you what types of food to store and how much, how to package the food for long term storage, how to cook food and light your home in case the power goes out, how to find and purify drinking water in case the water system fails, what types of medical supplies to stock up on and how to use them, and all the other most important survival topics. There’s nothing earth shattering in this book, but it’s very straightforward and full of common sense. This is another survival book that’s particularly good for families. 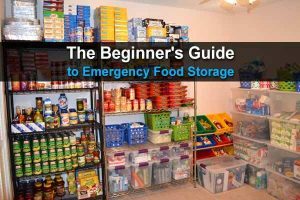 And it doesn’t just cover financial collapse or nuclear war; it also covers disasters like blizzards, hurricanes, house fires and biological terrorism and provides steps you can take to prepare for each. 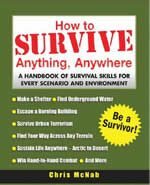 Some of the information on wilderness survival is lacking, but the author more than makes up for it with the info on surviving in place. What sets this book apart from other survivalist books is that the author lived it. Fernando Aguirre was in Argentina when its economy collapsed in 2001. There’s a lot of advice in this book that you might never have thought of. For example, most people assume that in an economic collapse they’ll stay at home with their food 24 hours a day. In reality, many will still have to go to work to make whatever money they can, and crime will be their biggest threat to survival. 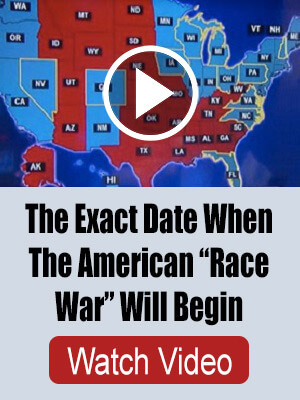 A must read for anyone who fears an economic disaster. The author of this book, James Wesley Rawles, is somewhat of a legend among survivalists. He is the author of survivalblog.com and has studied the subject for decades. 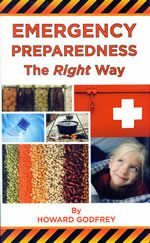 This books covers the basics of any type of disaster scenario imaginable and teaches about water, food storage, fuel, gardening, medical supplies, communications, security, bugging out, bartering and more. After the end of the U.S.S.R., a lot of us stopped worrying about nuclear war. But there are more nukes around the world than ever before, and with the growing threat of more terrorism around the world, it’s a good idea to start thinking about the possibility of a nuclear attack. 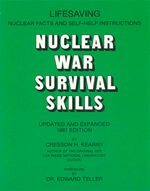 This book will teach you everything you need to know to prepare for and survive one. If you don’t mind reading it on your PC, it’s available in the ebooks section. The great thing about this book is its portability. 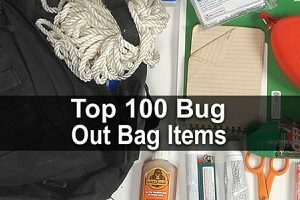 It fits right in your pocket, and it’s a great addition to your bug out bag. It was written by John Wiseman who served in the British Special Air Service (SAS) for 26 years. He teaches you how to build shelter, purify water, find food and survive in any climate. The easy-to-follow steps come with full-color diagrams and illustrations, and this edition includes new case studies and survival scenarios. If you spend time in the wilderness, this book could save your life. 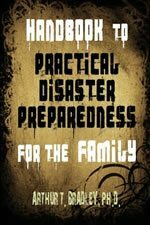 This book is the easiest read that covers almost every type of disaster or emergency. What I mean by “easy read” is the comfortable, conversational tone. The author gets the information across in a very efficient and effective manner. What sets it apart from similar books is the information on what to do for people with special needs such as children, elderly, people with disabilities, pregnant women and pets. If you’re just getting started, this is the first book you should get. If you currently or ever plan on homesteading in the country or living on a small farm, this book is essential. 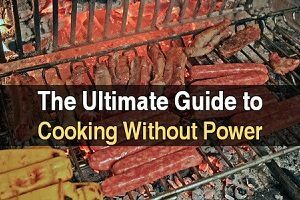 It gives step-by-step advice on topics like buying land, cultivating a garden, growing herbs, raising farm animals, milking a cow, making bread, making sausage, churning butter, and just about any other topic you can think of. It is an exhaustive reference. It’s also available on the eBooks page if you want to download it. 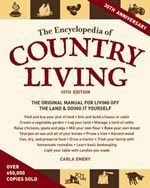 Like The Encyclopedia of Country Living, this books covers everything there is to know about homesteading. In fact, it would make a good book for someone wanting to live the Amish lifestyle. But what makes it even better are the full-page photographs and illustrations. The book is wide and heavy and makes a great coffee table book. Those are very interesting to books to read, You’ll get to know anything you want to know in terms of survival. Nowadays we really have to be prepared in any circumstances, expect the unexpected. Being prepared is important nowadays instead of getting panic in times of emergency. I have just started my survival kits…yes, kits because I have 2 vehicles, a home, and once my pocket kit becomes ready, I’ll have 4. I am taking ideas from all over and adding to my kit that suits me but also suits the area I live. One thing that I think ALL automotive kits should have is Window Chalk. I know it sounds silly, but if you have to abandon your vehicle and walk, you can write vital info on your car windows. I have come close to abandoning my vehicle during an ice storm…just my two cents.